Nice write up. I’m working on my review of it today as well, lol. What a coincidence! That’s cool Jon. Really looking forward to your take on it. Yea Ben, Marilyn loved it. I really liked it on my sausages and was surprised at how good it was. Kudos to you for coming up with a smoky sweet syrup! I can’t imagine using this on pancakes. But my first thought was I use maple syrup in my poultry brine, this would probably rock used in that way. Chris, to tell you the truth, I was a little wary of using it on pancakes until I smelled and tasted it. The smokey aspect is fairly light, and it’s still nice and sweet. Seriously, if you’ve ever had pancakes cooked in a cast iron pan over a campfire, this will definitely remind you of that! The label recommends it be used for chicken, pork, etc., so I’m sure it would be great in your poultry brine! I’d love to see your poultry brine recipe. Agreed Scott. Would be nice to meet the ‘benito in person. 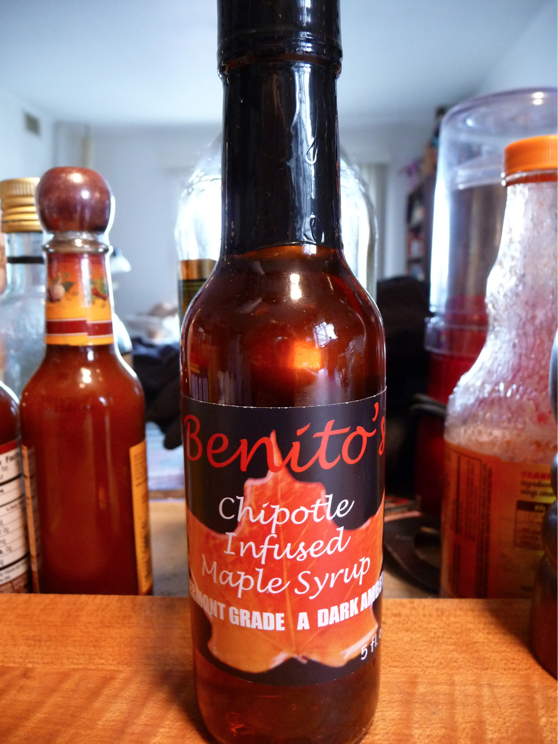 I’m pretty sure he has a Habanero version of his syrup. I think I read about it on another blog. 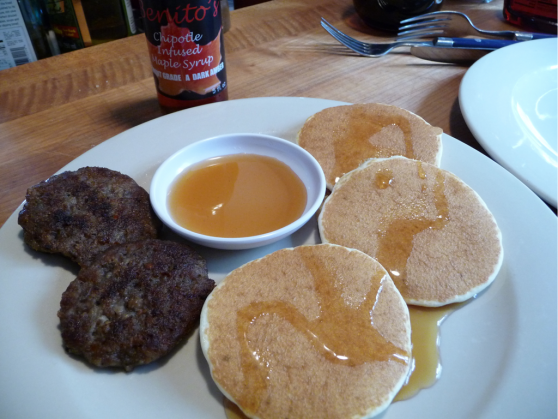 This inspired me to add habanero sauce to syrup and put it on pancakes. It was awesome. I’m not really into chipotle much.